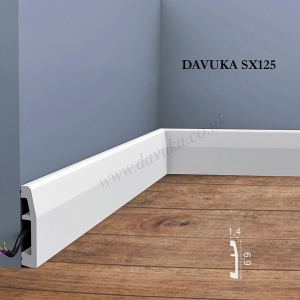 Without skirting boards, the transition from floor to wall looks bare and unfinished and walls can be easily damaged. Skirting is more than just decoration. 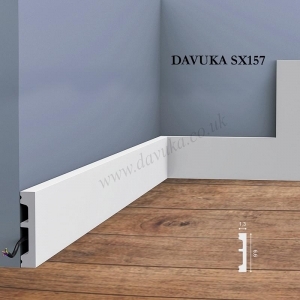 It protects the wall, hides cracks and covers the expansion areas of parquet floors. 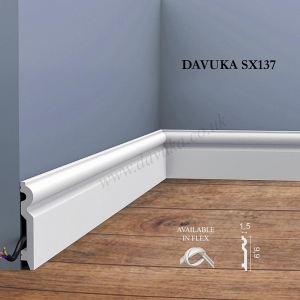 Our skirtings are also impact resistant, waterproof and paintable and many models offer additional advantages: they have cavities to hide cables, and some of our new models can be fitted directly over the top of existing tired looking/damaged wooden skirting boards so there is no need to remove them and risk of damaging existing plasterwork. For further details, see bottom of page. 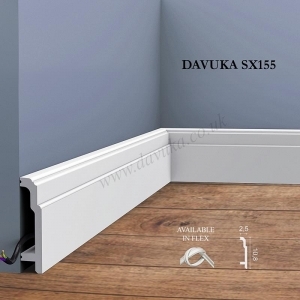 Skirting boards elegantly connect floors and walls. 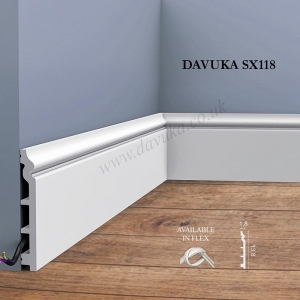 Profiles and sizes abound, so you can choose the profile that matches the architecture of the room with your own style. 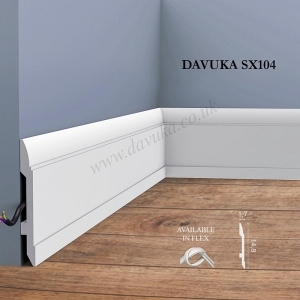 Paint them the same colour as the walls or accentuate with a different colour. 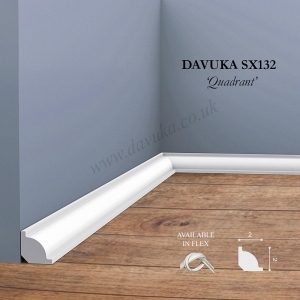 By adding a dado/panel rail slightly above further and painting the same colour, you can easily achieve the visual effect of a traditional high skirting board. 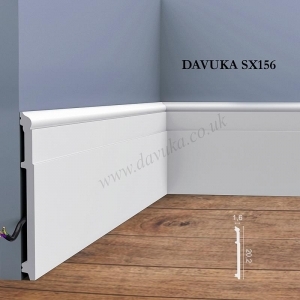 They are waterproof, knock-proof and can also hide cables, and many profiles are available in a flexible material suitable for curved walls or bay windows. All our skirting boards are made from Duropolymer®, an extruded high density polymer mix. 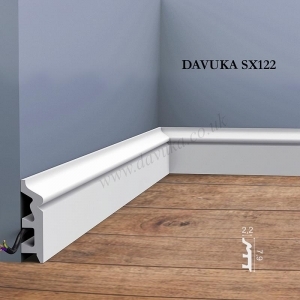 Unlike MDF or wood, Duropolymer® is totally waterproof and shock resistant. It is the ideal choice for use with floors that need regular mopping or cleaning as it keeps its shape when wet and resists dents. 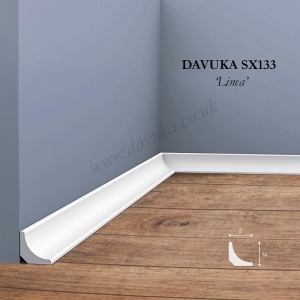 Pre-primed ready for finish painting the plinths can be cut with ease and fitted without difficulty using the DecoFix adhesive range.